If you follow me on Instagram, you know that my son, Giovanni, is known for his Noxx beanies! You’ll rarely find a photo of him without a Noxx beanie, snap back or swaddle blanket… I suppose to can say we are Noxx obsessed! Gio has been rocking Noxx since he was about 3 weeks old and now just days shy of turn 1 year old, he has quite the collection. Initially I began storing his beanies into a drawer in combination with his bibs and quickly the drawer became primarily his “beanie drawer”. This worked out great until I realized that instead of actually taking the time to shift through the drawer I would just grab something from the top which meant that he was wearing the same ones over and over again. And while thats not a huge problem since we love ALL of our Noxx beanies, what is the point of having so many if he’s not utilizing all of them? I decided this called for a DIY project and quickly jumped on Pinterest to see what I could find. Would you believe I could not find a single thing to do with organizing beanies? How could that even be possible? After consulting with a few close friends I finally settled on using a curtain rod to display the beanies in Gio’s room. Why not show off his colorful collection? Interested in showcasing your beanies the same way? Pick the spot on the wall that works best for you. If you don’t have a lot of wall space you can consider hanging these on the back of a door or even inside your closet. Have fun with it! In the photo I have one beanie per curtain ring, but this is not even our full stash and in reality I have 2 beanies to 1 curtain ring. I was torn between hanging our beanies by color or by size and then color. As you can see I went with the size and color. I figured this worked best so that I can pick a color based on the slouch that I am looking for. About half of our beanies are size 3-6 months and the other half are size 6 months to 3 years so the slouch variance is pretty big. 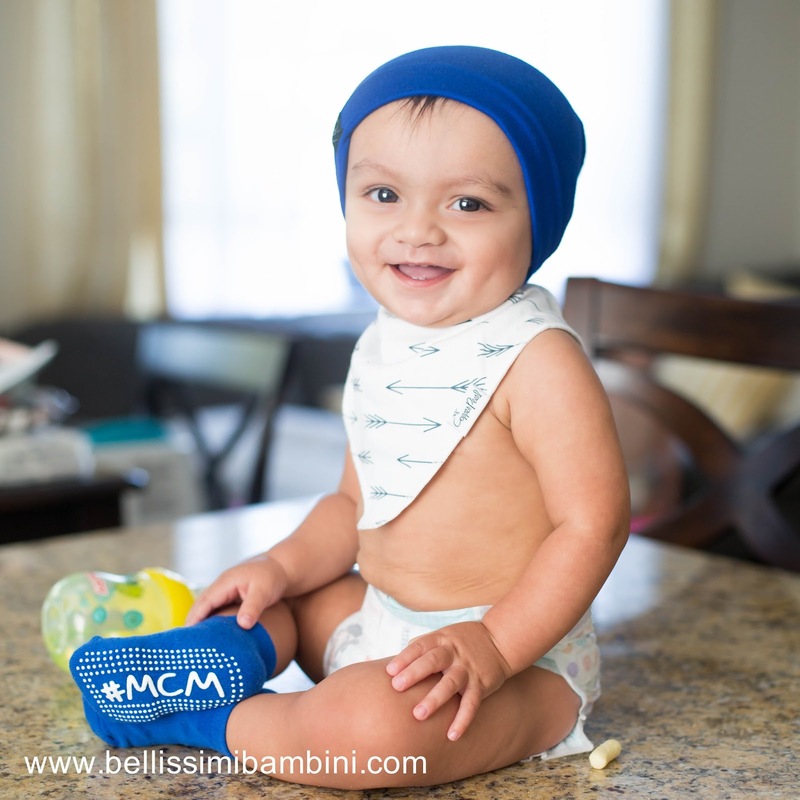 The great thing though is that even at 11 months, his 3-6 month beanies still fit! Do you have a creative way to share the way you organize/display your beanies? I’m always looking for new ideas and would love to hear from you! Never heard of Noxx and interested in checking them out? You can use the promo code GIO10 for 10% off your first Noxx purchase! This seriously looks SO CUTE in there! I love it!!! Aww I bet she would look so adorable in a Noxx beanie! <3 You totally need more! We need to up our beanie game!! This looks great! Yes!! Gabriel looks so cute in beanies, step it up girl! The boys can be twinsies! What a cute idea! Boys are adorable in these! I love this idea! It looks awesome and so colorful! We have those two prints hung up on our wall! I am going to copy this but with my scarves. You know you have far too many when you need a system in place for them. They look so cute on display! Would totally work for little girl's headbands as well. Nice! They do! I did something similar for my daughter's headbands. Do the metal clips not ruin the beanies? Where do you find the clips at? The clips are from Target but can be found anywhere that sells curtain accessories.